Chapters 40-55 of the book that we know as Isaiah probably address a time late in the Babylonian exile, when the prophet proclaims that God wants the people to return to Jerusalem. Keep in mind, though, that it has been years since the beginning of the exile. Most of the older generation, those who remember the way it was before, are gone. The next generation had created a new life here. They were settled, comfortable, and many had established themselves and even grown their wealth. And now they’re being asked to return to a city that is in complete desolation. There is nothing there. This passage is known as the third of the Servant Songs, declaring what the task of the servant should be. The servant speaks straight after God has made the claims that he has the power to deliver Israel from their unfaithfulness. In contradiction to the unfaithful and unhearing Israel, the servant declares that he is obedient and listens to the Lord. The servant is totally confident that God is with him despite all those who have been actively opposed to his ministry and the consequent adversity. And the servant has a powerful vision for the people. These people whom the servant loves will return from exile. This supreme confidence in the presence of God allows the servant to face any future adversity. And yet, there is a sense that the people have rejected the servant’s words. They scorn him and threaten him. He suffers at their hands. The servant suffers because of his great love for the people. The prophet/servant has been faithful in teaching what has been transmitted to him and that teaching will sustain the weary. But sustenance can only come to those who desire to be released from exile. We have no clear answers about the identity of the servant in Isaiah 40-55 and can only wonder if his message was so unpopular that he suffered because of it. Many Biblical scholars claim that the servant is the embodiment of Israel herself, both the land and the people; in other words, the servant is indicative of any servant of God who struggles with calling, struggles with life, and struggles to know who God is. As we are celebrating Palm Sunday, our tradition identifies Jesus with the words of Isaiah 50:4-9 when Jesus has had to face and will face his tormentors, will face those whom he loves who have rejected him. He sets his face towards Jerusalem, riding in with the knowledge that the crowds could easily be fickle. Jesus has relied on God to sustain him and he continues to rely on the help of God. Even in the face of adversaries, God sustains him. It is not that God “fixes” it, but rather walks with us through it. The Passion of Jesus Christ is both suffering and fervent and unquenchable love. What vision of the future does that give for your own life? How often do we really believe this or do we assume that God will “fix” it? What is the difference for our faith? If you interpret the servant as the embodiment of all servants of God, what does that mean for you? What do you think of the notion that the people did not desire to be released from exile? What do you think of the idea that Christ’s Passion is both suffering and love? What does that call us to do and to be? This passage makes the claim that obedience to God includes listening. How do we fare on that? On the surface, being of the “same mind” as Jesus would mean to be like Jesus, or to think like Jesus. But it means more than that. It is a call, rather, to enter the very essence that is Jesus. It is a call to pattern our lives after Christ. It appears here that “being in the form of God” may be opposite from “being in the form of a slave”. Essentially, Jesus emptied himself and became dependent upon God, fully surrendered, a servant of God. He became fully human. He surrendered self-advancement and instead became fully human, fully made in God’s image. He surrendered himself and descended all the way to Golgotha. Jesus was not a victim. He surrendered himself. Being made in God’s image is not being “like God”. An image is not the actual thing. And a good image reminds us of the thing itself. This passage is the story of salvation in three parts—emptying and incarnation, obedience and death, exaltation and resurrection. Jesus sees his equality with God not as Lordship to be used over others, but as an offering for others. We are to have the same mind of Christ the humbled, Christ the crucified, rather than the crucifiers. We are to, once again, walk through shame and suffering knowing that the Lord is with us. And we are to do it with a rhythm that is unfamiliar to the world. Our main problem is that surrender is really pretty foreign to us. We tend to equate it with losing and we never want to do that in our world of win-win. The notion of “surrender” is uncomfortable for us. Literally, it means to give up one’s self, to resign or yield to another. It could even mean to suffer. That is against our grain. That doesn’t fit in with our dreams of pursuing security and success. That doesn’t reconcile with a society driven by competition and power and “getting ahead”. Surrender…doesn’t that mean to lose control? What will happen then? Jean-Pierre de Caussade wrote that “what God requires of the soul is the essence of self-surrender…[and] what the soul desires to do is done as in the sight of God.” The 18th century mystic understood that one’s physical being and one’s spiritual being, indeed one’s body and one’s soul, could not be separated. The two were interminably intertwined and, then, the essence and status of one affected the other directly. So what does that mean? We sing the old song “I Surrender All” with all of the harmonic gesture we can muster. And we truly do want to surrender to God—as long as we can hold on to the grain of our own individualism, to that which we think makes us who we are. But de Caussade is claiming that it is our soul that truly makes us who we are and that in order to be whole, our soul desires God with all of its being. So, in all truth, that must mean that most of us live our lives with a certain dissonance between our physical and spiritual being. We want to be with God. We love God. We need God. But total surrender? But that is what our soul desires and in order for there to be that harmony in our lives, our physical beings must follow suit. The little river said, “I can become a big river.” It worked hard, but there was a big rock. The river said, “I’m going to get around this rock.” The little river pushed and pushed, and since it had a lot of strength, it got itself around the rock. Soon the river faced a big wall, and the river kept pushing this wall. Eventually, the river made a canyon and carved a way through. The growing river said, “I can do it. I can push it. I am not going to let down for anything.” Then there was an enormous forest. The river said, “I’ll go ahead anyway and just force these trees down.” And the river did. The river, now powerful, stood on the edge of an enormous desert with the sun beating down. The river said, “I’m going to go through this desert.” But the hot sand soon began to soak up the whole river. The river said, “Oh, no. I’m going to do it. I’m going to get myself through this desert.” But the river soon had drained into the sand until it was only a small mud pool. Then the river heard a voice from above: “Just surrender. Let me lift you up. Let me take over.” The river said, “Here I am.” The sun then lifted up the river and made the river into a huge cloud. He carried the river right over the desert and let the cloud rain down and made the fields far away fruitful and rich. What, for you, does it mean to assume the mind of Jesus? What does it mean to surrender to God? Why is that so difficult for us? What does this passage say to you about humility? What does this passage say to you about power? Marcus Borg and Dominic Crossan suggest there was not only a procession from the Mount of Olives on the east that day, but also a Roman procession entering from the west, which would have had as a focal point the Roman governor named Pontius Pilate. The juxtaposition of these two processions would have set up quite a contrast. One came as an expression of empire and military occupation whose goal was to make sure oppressed people did not find deliverance. It approached the city using horses, brandishing weapons, proclaiming the power of empire. The other procession was quite a contrast, using a donkey and laying down cloaks and branches along the road. Maybe the other one was meant to be a parody of the first, setting up such a contrast that one had to question why. And the answer was that the one who was coming in the name of the Lord quietly, but profoundly, proclaimed the peaceful reign of God. It is interesting that half of this story is about getting the mode of transportation—where to go to find the animal, what kind of colt to seek, what to do, what to say. You can imagine what the disciples were thinking. For this we left our fishing nets? Surely they imagined a grander assignment. This seems important in the version of this story in Mark’s Gospel. It is as if Mark is reminding us that sometimes following Jesus means doing mundane tasks that, alone, do not seem important, but in the grand scheme of things, are paramount to the story. As Thomas Long said, “In Mark’s world, “preparing the way of the Lord” apparently looks like standing hip-deep in the mire of some stable trying to corral a donkey. There is some significance, though, to the idea of him riding a colt that has never been ridden. (Similar to coming into the world through a virgin womb.) Jesus is different. It is has never been done this way before. But, when you think about it, do you REALLY want to be the first to ride an animal? Do you really want to be the one to convince the animal that this is the way it’s supposed to happen? That, too, is significant. How is the animal going to act? Will the animal endanger the rider or the crowd? Only time will tell. And Jesus was never one for doing things the way that we had always done them. Maybe THAT’S the lesson that we’re supposed to learn here. But here Jesus is in the bustling capital city. He is no longer in the villages and open country of his home. The celebratory parade is also a protest march. The disciples should have known what was happening. Jesus had already laid it out for them. But they still did not comprehend what he had said. At this moment, the crowd (small though it might have been) sees him as a king, as one who will get them out of where they are. So this is a parade that befits a king. “Hosanna”, “the Coming One”, the one who restores Jerusalem. He enters. This is the moment. He goes toward the temple. This is it. And then he turns and goes to Bethany. The parade fizzles and the people turn back to their lives. What they didn’t recognize is that Jesus brought them something that they had never had before—peace, truth, justice, and love. What they didn’t recognize is that Jesus had indeed come to restore them not to what was but to what should’ve been all along. What would have been your reaction to the parade? 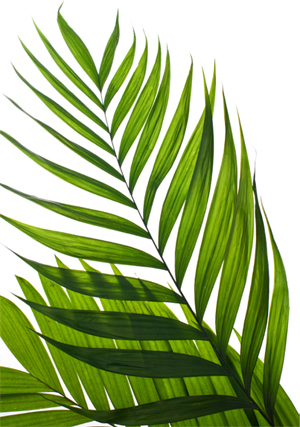 What does Palm Sunday mean for you? What do you think this passage calls us to do? Holy is the week…Holy, consecrated, belonging to God…We move from hosannas to horror with the predictable ease of those who know not what they do. Our hosannas sung, our palms waved, let us go with passion into this week. It is a time to curse fig trees that do not yield fruit. It is a time to cleanse our temples of any blasphemy. It is a time to greet Jesus as the Lord’s Anointed One, to lavishly break our alabaster and pour perfume out for him without counting the cost. It is a time for preparation….The time to give thanks and break bread is upon us. The time to give thanks and drink of the cup is imminent. East, drink, remember: On this night of nights, each one must ask, as we dip our bread in the wine, “Is it I?” And on that darkest of days, each of us must stand beneath the tree and watch the dying if we are to be there when the stone is rolled away. The Book of Jeremiah is sometimes called the Book of Consolation. The people have spent generations disobeying God, expecting God to give them more, even running from God. And yet, God loves them. God promises love and faithfulness and gives it over and over and over again, whether or not the people keep their part of the bargain. The prophet Jeremiah addresses the people’s suffering with words of comfort and hope, not just long ago but today as well. The timing of the ultimate promise is indefinite. Many would rather interpret this as a “renewed covenant”, a fulfillment of the promises that God made earlier, but with a deeper and profound meaning. (The Hebrew could be interpreted either way.) And even though the earlier covenant was broken, God, rather than cursing the people, forgives and renews. The use of the word “husband” implies a familial, intimate relationship. This is the type of relationship that God envisions with each of God’s creatures. The future promises are certain. And the law, this time written on the hearts of God’s people, is no longer a requirement, but part of who they are. It is easy for us to read this through our Christian lens, and, yet, God says “all”—all shall know me, from the least to the greatest. This is not solely a projection of the Messianic promise to come. But God has written the Godself into us, making who God is part of who we are. It is permanent. God has written the capacity for love and faithfulness into us. And someday…someday…we’ll get it. This idea of the covenant being “written on our hearts,” of this New Covenant becoming not just something to which we aspire, not just something by which we try to abide, but something that is actually part of us just downright eludes us. This covenant is something that should be part of our body, our soul, our heart, our mind, our very being. The promise is certain, but it doesn’t end there. Think about it. Read the words. This is not about God just tossing some words out there in the hopes that someone will be curious enough or scared enough or ready enough to pick them up. God is much more nuanced than that. Rather, God’s vision is that they are written on our hearts, permanently tattooed, part of our very being. It is as if God is remaking us from the inside out. Maybe that’s our whole problem. Maybe we’re making ourselves backwards. Maybe we’re trying to do the right things and say the right things and fast and pray and live our lives with the hopes that our hearts will be made right. And in the meantime, God is inside, with heart-wrenching fervor, remaking us from the inside out. What does this new covenant mean to you? What does it mean that you need to do? What is the difference between a “requirement” and a covenant that is part of you? What is the difference between “doing” the right things and living a life of faith? How does this speak to you in the Lenten season? This passage begins with a strong reminder of God’s action in Christ, with a strong reassertion that Jesus has been exalted above any of the cosmic powers. It reminds us that in the face of the difficulties in our lives and the madness of the world, God through Christ is stronger than anything else either on earth or through all of Creation. Melchizedek is mentioned twice in the Hebrew Bible—in Genesis and then again in Psalm 110. He was a priest of the Most High in the time of Abraham who received tithes from him. His name literally means “righteous king” or “King of Righteousness”. Some have claimed that these passages refer to a literal human; others claims insist that it refers to a theophany, a righteous ruler superior to the Levitical priests. This is not what we think of as an apostolic priesthood. Rather, it is an eternal designation. Remember that Abraham has been called by God, called to be the Father of Nations. And yet, for years Abraham remained childless and ultimately found himself struggling with his nephew Lot. And into this struggle, a figure named Melchizedek appears. He comes into the Valley of the Kings, offers bread and wine, and blesses Abraham. So Jesus is part of this same so-called “order”, a continuation and culmination of God’s plan of relationship with humanity, God’s offering of order, and sustenance, and blessing. But the ministries of a priest like this must be with the people, not removed from them. God does not want compensation; God desires one’s very life; God desires to be in relationship with humanity. Jesus was human and suffered as humans suffered. But Jesus was fully human, the very epitome of humanity. This is the way not around suffering but taking it unto one’s life. And through the suffering, through this relational priesthood, God leads us to life. Irenaeus once said that “the glory of God is humanity fully alive.” So what does it mean to be “fully alive” in the faith? It means entering that continuation of God’s relationship with us. It means opening one’s life so that God can intervene, so that God can call you into this priesthood of believers, this ongoing relationship with God. What does it mean to be “fully human” to you? What does that have to do with being “made perfect”? How would you describe being “fully alive”? These verses are part of the final days of Jesus’ ministry. It is interesting that these Greeks, or Gentiles, had to have a sort of “mediated” introduction to Jesus, as if they had never seen him. But this also looks to the opening of the message to the Gentiles. This is not a periphery part of the message. These are not merely Greek-speaking Jews, but Gentiles who have made the pilgrimage to Jerusalem for the Passover feast. The imagery of the passage implies that there will be fruit among the Gentiles. This is a new section of the Gospel. The world has begun to see Jesus. They approach Philip and request to “see” Jesus, to have a meeting with him. Perhaps they want to know more of who this Jesus is. Perhaps they just want to talk to him. Or perhaps they want to become disciples. But regardless of why they are here, their arrival points to the fulfillment of the church’s future mission—to make disciples of Jesus Christ for the redemption of the world. This is the decisive dividing line between Jesus coming as a Jewish Messiah and Christ, through his death and resurrection, fulfilling God’s promise for the renewal and redemption of all of Creation. Now is the time for the Son of Man to be glorified. But first, the wheat must die so that it can grow and bear more fruit. This is sort of confusing if you do not know what wheat is. Wheat is what is called a caryopsis, meaning that the outer seed and the inner fruit are connected. The seed essentially has to die so that the fruit can emerge. 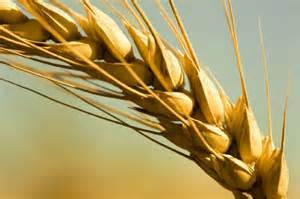 If you were to dig around and uproot a stalk of wheat , there is no seed. It is dead and gone. The grain must, in essence, allow itself to be changed. What this tells us in that in order for something new to happen, in order for a “new” or “renewed” creation to come about, we must allow ourselves to be changed. So what Jesus is trying to tell us here is that if we do everything in our power to protect our lives the way they are—if we successfully thwart change, avoid conflict, prevent pain—then at the end we will find that we have no life at all. So why, then, is death so hard for us to talk about, so hard for us to deal with in our life? In fact, we do everything that we can to postpone it or avoid it altogether. So maybe that’s why the cross bothers us so much if we really think about it. Oh, we Christians can focus on the Resurrection and just let the cross somehow disappear into the background, covered in Easter lilies. But then we have forgotten part of the story. We have forgotten that God does not leave us to our own devices, does not leave us until we have “figured it out”, does not wait in the wings until we have covered it all up with Easter lilies. God is there, in the suffering, in the heartache and despair. And God in Christ, there on the cross, bloodied and writhing in pain, is there not in our place but for us and with us. Whether you believe that God sent Jesus to die, or that human fear and preoccupation with the self put Jesus to death, or whether you think the whole thing was some sort of colossal misunderstanding…the point of the cross is that God took the most horrific, the most violent, the worst that the world and humanity could offer and recreated it into life. And through it, everything—even sin, evil, and suffering is redefined in the image of God. By absorbing himself into the worst of the world and refusing to back away from it, Jesus made sure that it was all put to death with him. By dying unto himself, he created life that will never be defeated. And in the same way, we, too, are baptized into Jesus’ death and then rise to new life. What stands in our way of totally surrendering to being “made new”? Why is death so difficult for us to talk about? Why is the cross such a difficult notion for us? What is your image and understanding of the cross? And join me for daily reflections as we travel this Lenten journey on Dancing to God!